‘I wonder when married women will learn they have any other duty in the world than to obey their husbands…you don’t know what trouble we have with husbands. They come in the day before the operation… and worry (their wives) with all sorts of outside things and want them home when they are half dying,’ so wrote Dr. Elsie Inglis to her father while she was working in the ward of a London hospital during 1890s. I came across this admirable woman when I was researching my novel. I knew that universities were reluctant to grant women degrees even when they had completed studies and taken exams. By looking in detail at one woman’s story I discovered just how determined a woman needed to be. Studying medicine was rare for women at the end of the 19th/beginning of 20th century. 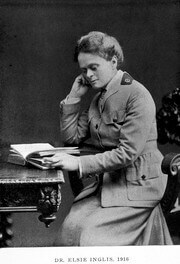 Dr. Inglis graduated at University of Edinburgh in 1899 having started her studies there in 1892. She also completed clinical studies in Glasgow and passed the exams in 1892. She went as a house surgeon to the new hospital for women in London’s Euston Road. I love that she was passionate about helping female patients for whom the standard of care was low. She was also a keen suffragist, becoming Honorary Secretary of the Federation of Scottish Suffrage Societies in 1914. 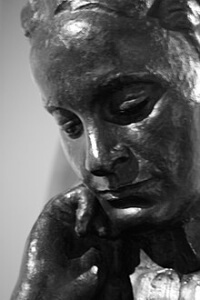 For many years she was Vice President of Edinburgh’s Women’s Liberal Association. However, she disagreed with the civil disobedience of the suffragettes and eventually withdrew from political associations because she thought she could better promote the cause of women’s suffrage through the example and experience of her medical work. After studying in Vienna and America, she set up a private practice in Edinburgh in 1894 with a friend and colleague. She lectured in gynaecology and volunteered at the Maternity Hospital for poor women- The Hospice. Not only did she work hard, she often waived her fees and paid for some patients to convalesce by the sea. When Britain declared war in 1914, Dr. Inglis formed Sixth Edinburgh VAD, becoming its commandant.It was to be staffed largely by women. Edinburgh’s City fathers were contemptuous. She offered its services – a field hospital staffed by women, to the War Office for any theatre of war. No. Instead she made a similar offer to the ambassadors of Belgium, France and Russia and they accepted. The Scottish Suffrage offices in Edinburgh became the Headquarters of Scottish Women’s Hospitals for Foreign Service. Women of many nationalities served in them. By working together women proved they were as capable as men. Even when women qualified as surgeons it was difficult for them to be allocated work- hence the attraction of war work. I have written earlier of the role of the Scottish Women’s hospitals in Serbia but I suspect part of her motivation was her realisation that the Serb medical services were not able to function properly and she responded to that need. In 1915 she was repatriated when Serbia was occupied. From Edinburgh she raised money for the Serbs. However, her heart was in her work as a surgeon and she joined a Serbian army medical division in Russia where she remained until the Russian Revolution in 1917 caused Russia to withdraw from the fighting. Along with other Aid workers she returned to Britain, where she died. 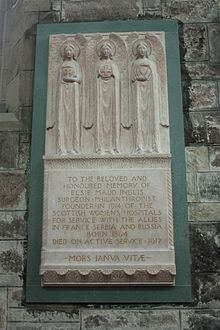 Her funeral in Edinburgh was attended by members of the diplomatic corps, hundreds of medical women, suffragettes, politicians and thousands of ordinary citizens including Serbs living in Britain. BBC’s broadcast on 4th June 2018 about the role of working class women in the fight for women’s suffrage showed the battle between the women and the government. It demonstrated that the fight involved more than the big names, the ones we are familiar with. There were many other women who also contributed to the change in attitude to women’s roles in society. 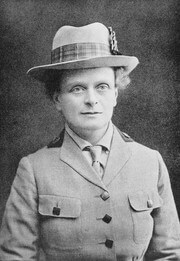 I am proud of the work of Dr. Elsie Inglis and the other women who had determination and vision, who would not be silenced and made it possible for women to vote for M.Ps. What determination and perseverance this woman had. Thanks, Marg. It’s good to add another name to the list of women who worked for equality and held themselves to such a high standard. There are so many women like her we don’t hear about, aren’t there, Connie.